Strachur Smiddy Museum and Craft Shop is located in the small parish of Strachur in the west side of Cowal in Argyll. The smiddy dates back to at least 1791, and it continued as a working Smiddy until 1955. It has since been repaired and restored as a working museum, with occasional demonstrations, and craft shop. The museum is also accessible for disabled visitors. Do watch our video and read our reviews on TripAdvisor. The museum displays the original implements of the blacksmith and farrier trades. 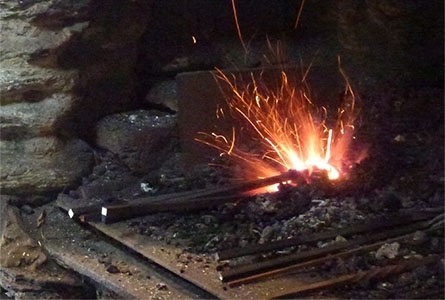 Enter the past as you step into an 18th-century blacksmith’s smiddy, carefully preserved with forge, bellows and anvil, cobbled floor, tools of the trade and beamed ceiling. There is usually a blacksmith at work on weekends, and occassionally on weekdays. You can watch him fashion ironwork such as fire pokers and candlesticks in the traditional way with hammer on red-hot metal. 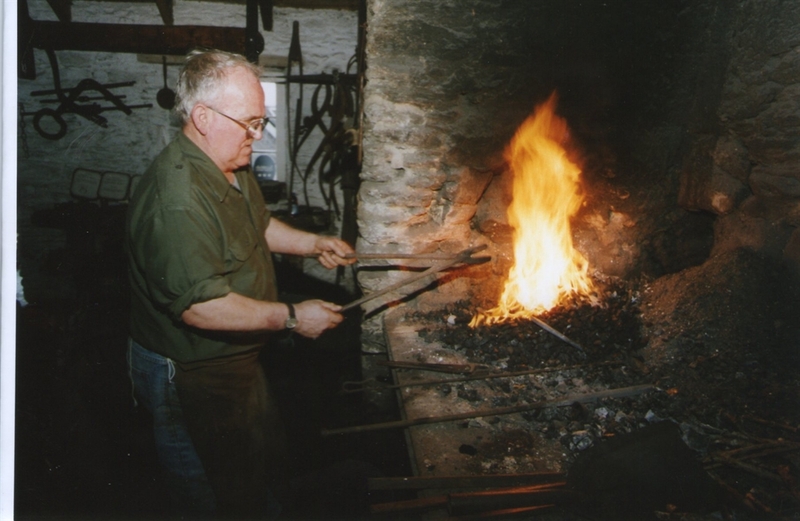 Watch the film of the Smiddy’s history and read how the Montgomery family of Strachur developed and maintained the blacksmith service over four generations. Browse through the Smiddy’s collection of fascinating artefacts and tools. 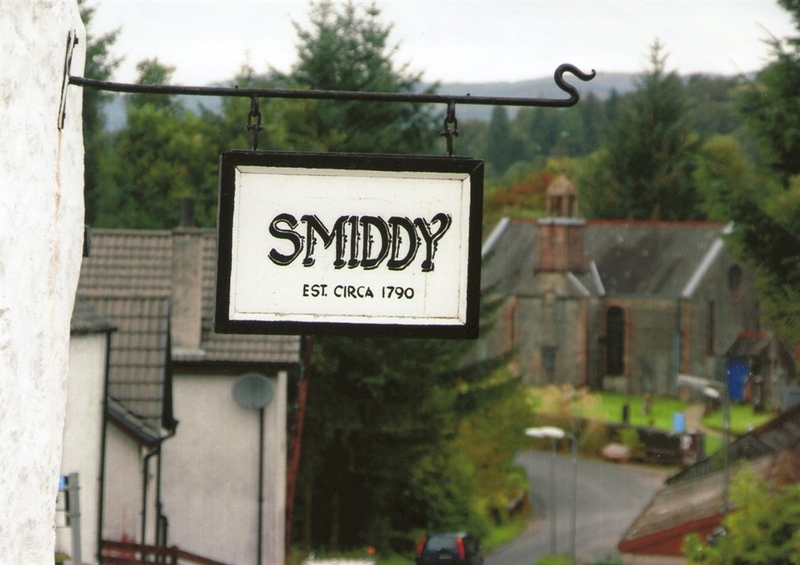 Chat to Smiddy staff about the Smiddy’s story and its place in Strachur’s history. Purchase a souvenir such as a horseshoe, or treat yourself to a locally made gift from the craft shop. Take advantage of the leaflets and local information on display to enhance your visit to Strachur and the Cowal area. You can buy cards, postcards, or photographs with which to remember your visit to Strachur Smiddy Museum.